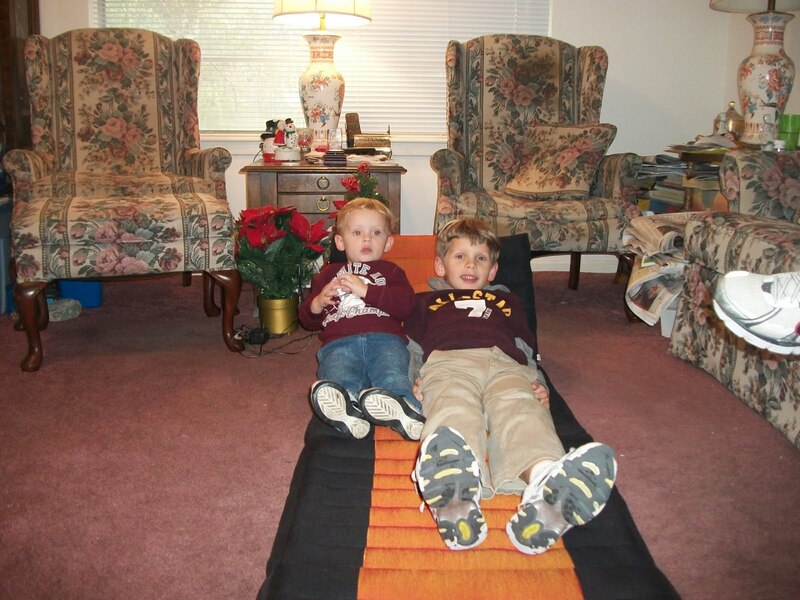 Brady and Dawson lounging and watching Toy Story while lunch was being prepared. 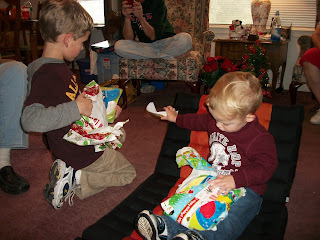 Opening their first gift - moon dough. 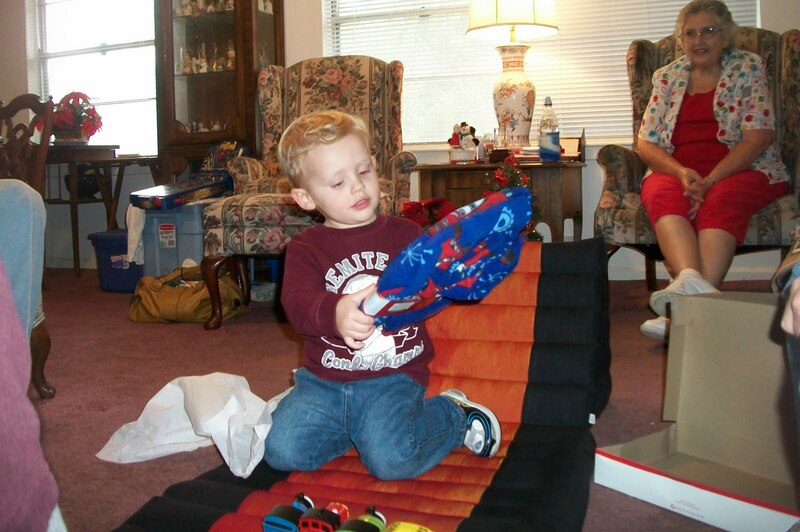 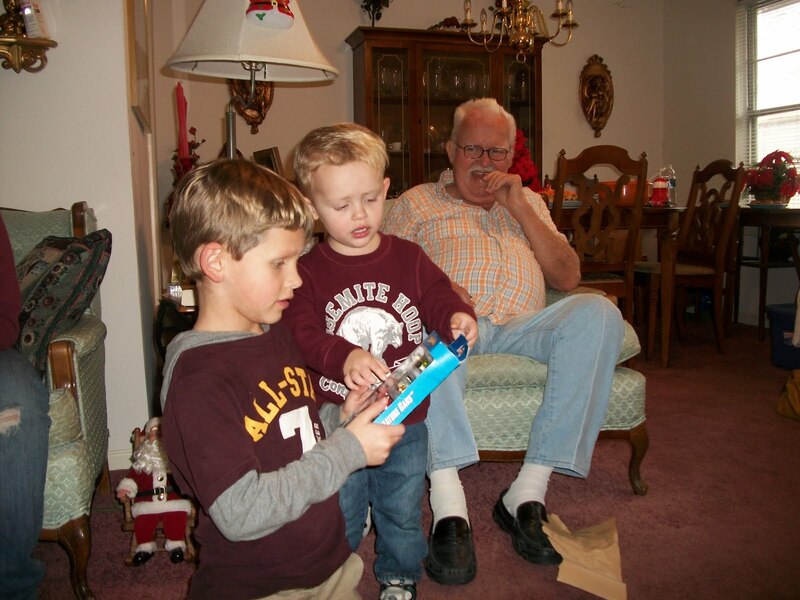 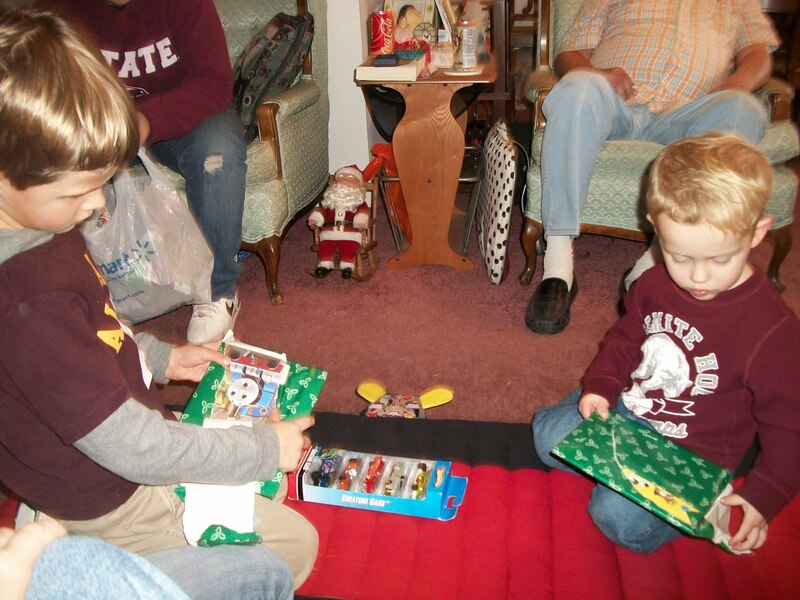 Brady checking out Dawson's new hot wheels. 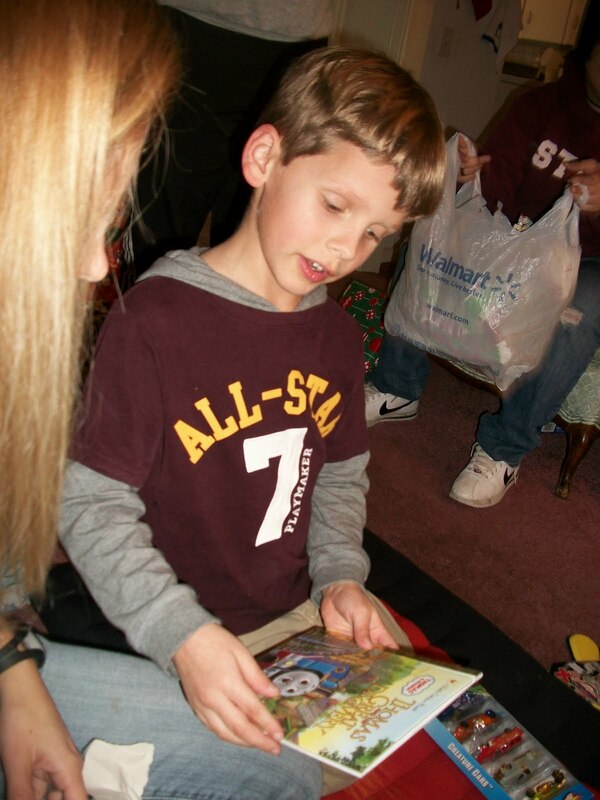 Dawson showing me his Thomas the Train book. 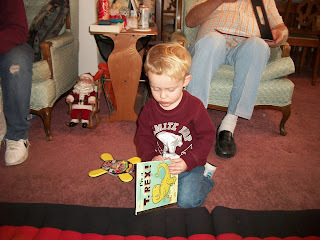 Brady trying to open and read his T-Rex book. 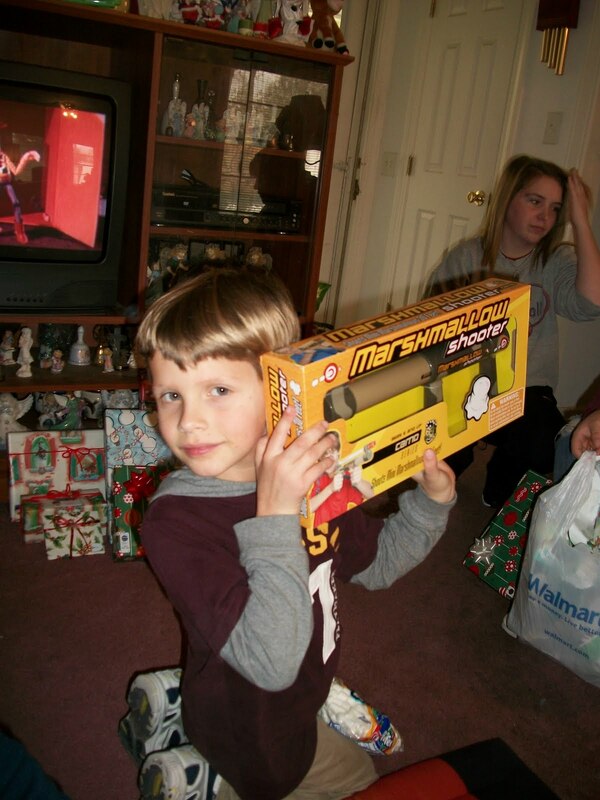 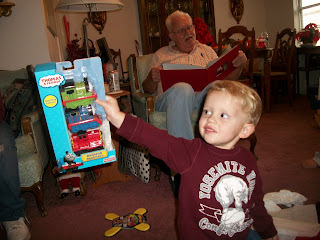 Brady was very excited about these Thomas bath squirters. Brady admiring his new Cars pajamas. 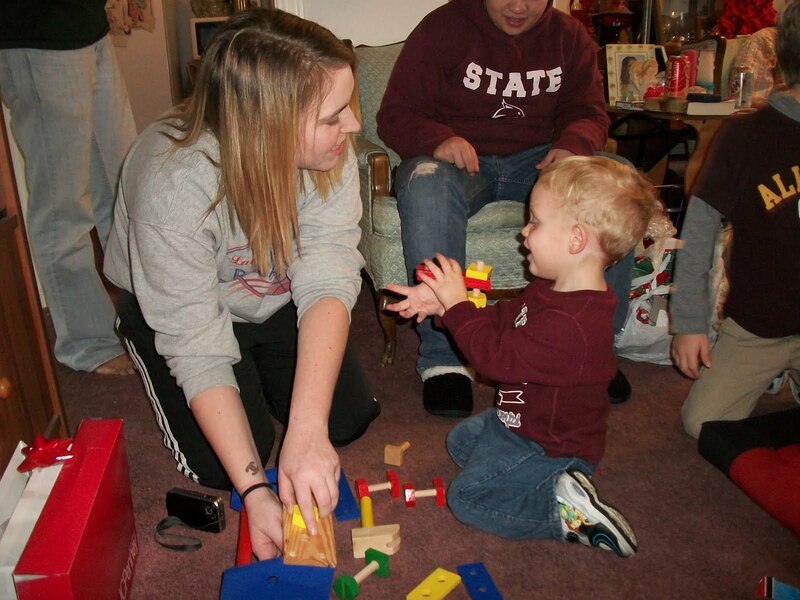 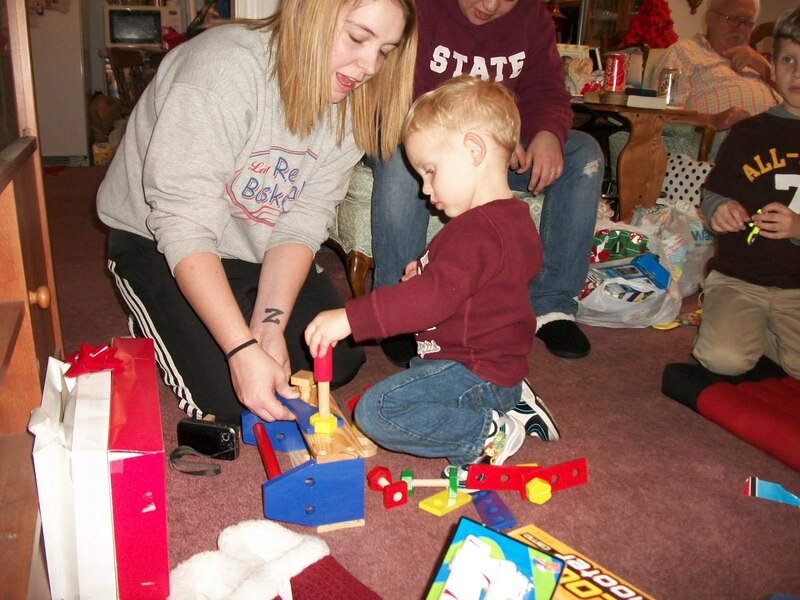 Tera and Brady playing with his new tool kit. Look, it's on my thumb!